The federal panel recommended the approval of the first prescription cannabidiol medicine which may be used to treat rare and severe forms of epilepsy. Cannabidiol — CBD for short — is a cannabis derivative and the approval would be limited to treating seizures caused by Lennox-Gastaut syndrome and Dravet syndrome in patients aged 2 and older. “Epidiolex represents hope for the many individuals living with intractable seizures and rare epilepsies, who every day face incredible challenges and disabling seizures, and live with the continual risk of serious injury and death,” said Philip Gattone, president, and CEO of the Epilepsy Foundation. The new experimental medication utilizes a chemical compound in cannabis that doesn’t get a user high, unlike tetrahydrocannabinol, or THC. A British company, GW Pharmaceuticals, has gone through the testing necessary to be considered for FDA approval. Its carefully formulated syrup-like oral medicine will have to be made under guidelines, called good manufacturing practices so that buyers can count on getting what is supposed to be in the bottle. 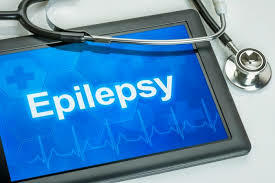 “It’s incredibly important as a physician prescribing to patients that we know what we’re giving them and we know we give them one month will be the same that we give them three or six months later,” said Dr. Orrin Devinsky, director of NYU Langone Epilepsy Center. “It’s very important to highlight that the drug used in this study, cannabidiol, was derived from cannabis plants, and purified to 99 percent purity,” Devinsky told NBC News. “Both by Lennox-Gastaut syndrome and Dravet syndrome are rare, severe, refractory epilepsy syndromes with onset in early childhood,” the FDA said. It’s not clear how or why CBD works, but studies show it does, the FDA said. “The results from these three studies provide substantial evidence of the effectiveness of CBD for the treatment of seizures associated with Lennox-Gastaut syndrome and Dravet syndrome (LGS and DS),” the FDA said in briefing documents given to the advisory committee ahead of Thursday’s meeting. The panelists heard the case from several desperate parents, including Lisa Smith of White Stone, Virginia, whose teenaged daughter Haley was suffering from Dravet Syndrome and has undergone thousands of seizures. “By the time she was 14, she had tried and failed 17 medications and combinations of them. The doctors said there was nothing left,” Smith, an activist for the legalization of marijuana-based medicines, told the panel. Dravet syndrome is very rare and often deadly form of epilepsy caused by a genetic mutation. These kids have multiple, prolonged seizures that cause brain damage. Lennox-Gastaut syndrome is also rare, causes various types of seizures and can also cause severe cognitive impairment. “There are some children I take care of who are literally wheelchair-bound, having hundreds of seizures a day on high doses of other medications and who are either sleeping or seizing most of their life,” he said. Studies have shown that it can have some benefits in reducing anxiety, counteracting some types of nausea and that it may relieve some symptoms of glaucoma and multiple sclerosis. And the FDA has approved several marijuana-based products, including the synthetic formulation Marinol, prescribed to treat severe appetite loss and nausea in conditions such as AIDS. Doctors are interested in trying CBD to treat autism, anxiety, inflammatory and autoimmune disorders also.